An update to an old Sega classic, these two aliens still have some groove to them. No-one would argue SEGA has no characters associated with them right now – Sonic, whatever you might think of him, hasn’t budged as their mascot for years, and you also have others like Kiryu from the Yakuza series, and Bayonetta from her own games. Bringing in owned properties they also have Atlus’ Persona series under their umbrella now. But back in the 90s when they were just starting out, it seemed like they had plenty of would-be mascots jockeying for the position. 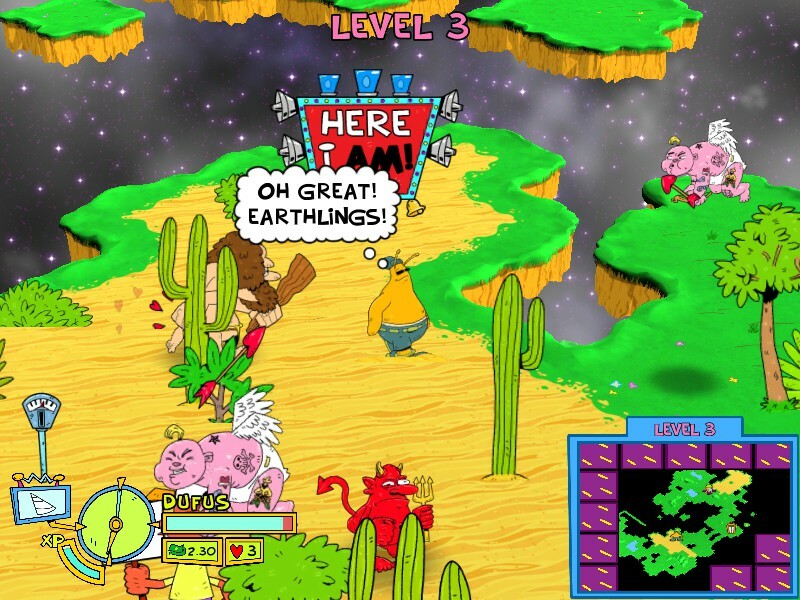 One, or two of them rather, were the duo of Toejam and Earl, aliens stuck on Earth who have to find pieces to their broken ship in order to return home. They actually had three games total on Sega consoles, but after a lack-luster entry into 3D the two disappeared for a long while. However, despite being considered Sega characters for a while, Toejam and Earl weren’t actually owned by them, but by their direct creator, Greg Johnson. A few years ago he took the two to kickstarter and managed to reach his set goal, and now in March the two will reappear on the PS4, Xbox, PC, and Switch. Question is, is this game on the good or bad side of kickstarter projects? Back in the Groove takes the franchise back to its roots, with the gameplay being an update of the very first game, which seems to be the most well-known. 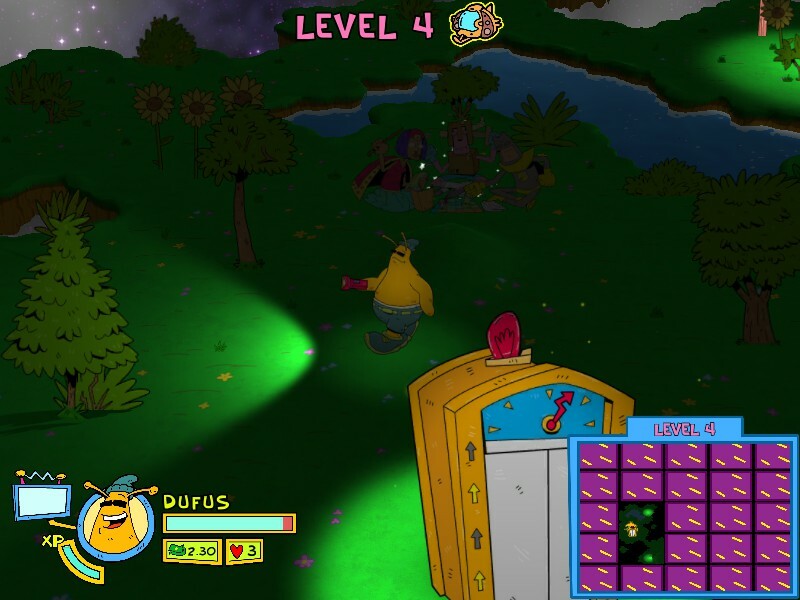 It’s a roguelike, and was inspired by the original Rogue – that word is pretty appropriate for Toejam and Earl, since they’re not equipped for combat like in most games of the genre these days, meaning you’ll have to get through most dangers through trickery. There’s certainly a lot of danger, as most Earthlings are perfectly happy to pummel, probe, or just annoy you. Most enemies are unique and have their own unique characteristics: the Boogie Man is hard to see and will sneak up on you, Cupid will make you fall in love with things, and the Construction Worker’s jackhammer has an area of effect, to name a few. This is helpful, letting you plan out what you want to do once you’ve figured out their pattern. Your items have their own flair as well. Obviously there are your standard roguelike effects, like identifying items (what items you’ll find in which present is random every game) and warping you to a random place, but there are also far wackier effects. One time I opened a gift and got a flashing neon ‘Here I am!’ over my character complete with a massive siren, drawing every enemy around toward me. Another gave me a pair of rocket skates, increasing movement by a ton with the caveat that I couldn’t slow down. These kinds of effects synergize pretty well with the levels, which rather than being divided into rooms are far more open, containing terrain like slippery ice, sand that slows you down, and unique modifiers like the level being dark. You can even fall back down to the last level if you get hit on the edge. Not all Earthlings are dangerous either, as you’ll find helpful ones like the Wiseman who will level you up once your experience bar is full, and King Tut, who can reveal hidden items all over. That ties into the sort of risk/reward system the game has. Money and presents are hidden all over in bushes or houses, with the latter being a hefty source of experience – your stat increases are randomized each level, but they can increase your character’s health, speed, and inventory space. On the other hand you may just want to beeline to the ship piece and/or the elevator to avoid the risk of taking damage, but this could leave you in rougher shape later on when enemies become more numerous. Unlike other roguelikes, you have extra lives and can acquire more but it can be easy to lose them. The initial tutorial world is easy, but the proper game has multiple levels in-between ship pieces and isn’t afraid to throw whatever it has at you. Being a roguelike it also has multiple characters. You have Toejam and Earl, obviously, in both their current designs and the redesigns they got for this game, but they’ve also brought their girlfriends along, as well as a few secret characters. 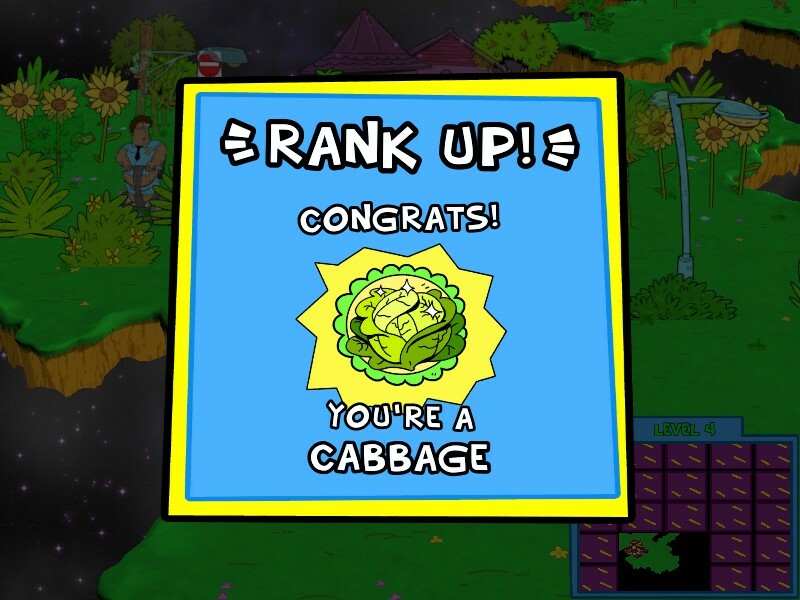 Each has different starting stats and items, as well as a unique perk – the newer version of Earl can eat spoiled food without losing health, for example. So overall it seems to be quite the faithful adaptation of the original game. But that leaves the question of how much it holds up all these years later. It’s undeniable that Back in the Groove has a good deal of charm to it, and certainly has more of an identity than your standard twin-stick roguelike, although that identity may not make it as long as others in the genre. That isn’t a bad thing of course, and what we have here is a fine update of an older, unique game. Overall, I’m not sure Back to the Groove will set the world on fire or anything but I do think it manages to justify itself all these years later. Much like Toejam and Earl’s trip to Earth, it’s a diversion from the norm, and I’d say a welcome one. It gets a solid Save from me. Been gaming since the SNES era, enough that I'm a fan of most games. I most gravitate toward platformers, RPGs from both sides of the ocean, and strategy games. I endeavor to keep my reviews as honest as possible, good or bad; I know more than anyone how much a pain it is to spend money on a bum title, and hopefully with my help you won't have to.